In this podcast, members of different ages will give their perspectives of day to day life with a primary immunodeficiency and tell us about their challenges and solutions. The issues covered may vary from treatment to quality of life’s aspects one doesn’t necessarily talk about such as school, work, children, family, fatigue and loneliness. The podcast will also feature information about treatments and research within the area. In order to make the contents as interesting as possible, members have been able to provide input through a workshop and interviews to collect suggestions and ideas. A podcast gives us the opportunity to reach many members and it is suitable for deepened discussions. Another great advantage to this format is that each episode remains over time and can be searched for and shared. The podcast is the result of a cooperation between PIO and CSL Behring which started in 2018 to put focus on, and celebrate, PIO´s 40th anniversary. 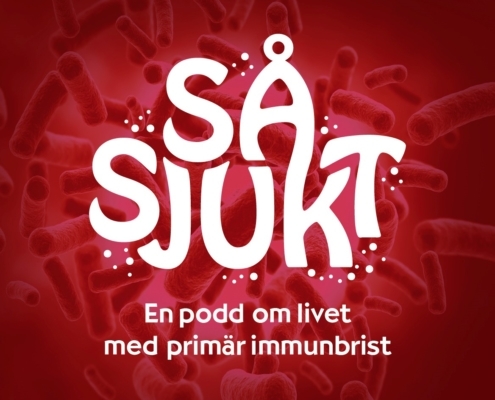 The name of the podcast is ”Så sjukt – podden om livet med primär immunbrist” (That´s sick – podcast about living with a primary immunodeficiency). 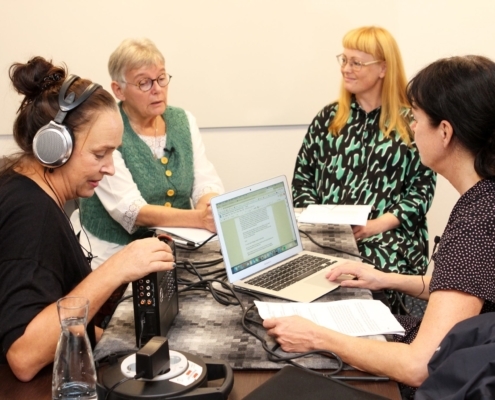 PIO’s founder Maj-Lis Hellström and member Lisa Wallin together with producer Estrid Bengtsdotter and broadcaster Micha Arlt.